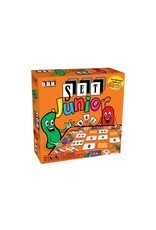 Start playing your favorite game with your kids as early as age 3! 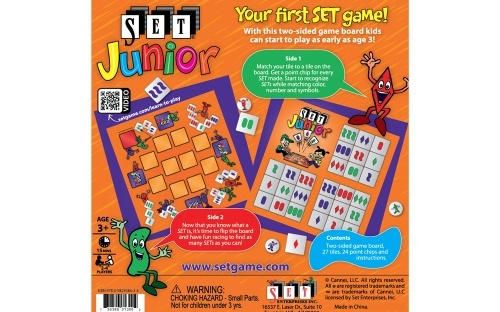 SET® Junior’s two-sided board is designed to grow with your child. Side 1: Match your tile to a square on the board. Start to recognize SETs while matching the color, number and shape. Side 2: Now that you know what a SET is, it's time to flip the board and have fun racing to find as many SETs as you can! 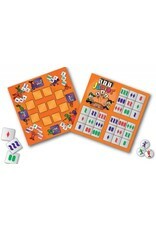 The thicker tile-like cards are easier for little hands and the point chips make scoring fun. 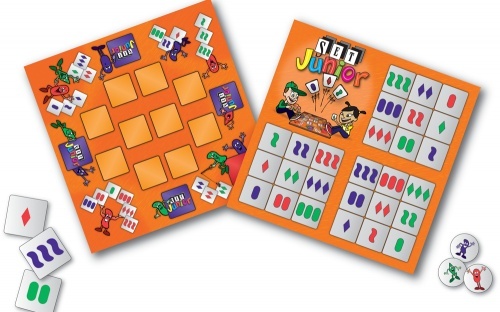 SET Junior builds cognitive skills and memory recall at a critical age in a child’s life. It is also proven to help grandparents who are suffering from Dementia and Alzheimer’s. 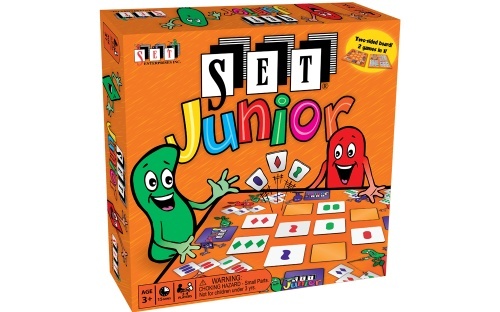 Just like the original SET game, SET Junior was made as a game of fun, but also sharpens your mind as you play.